The Perfect Fit Harness brochure has just been updated to make it easier for people to understand how to fit the harness. When you have a great product to sell, this needs to be presented in the best way possible to your audience. New illustrations were added to clearly show the step-by-step process in an informative way. Working with the client to select high quality photos and selecting necessary products. This helps to give variety throughout the whole brochure but still making all information easy to digest. By using the right paper stock gives this product brochure a quality feel, and when there’s 30,000 ordered it has to be right! 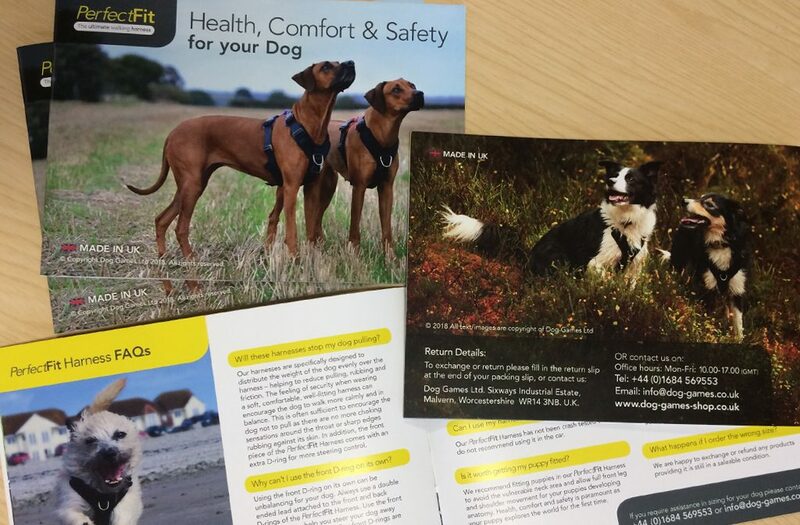 The client is over the moon with their new brochure printed and delivered in time for Crufts at the start of February this year.